Can You Smell How Old Someone Is? New findings from the Monell Chemical Senses Center reveal that humans can identify the age of other humans based on differences in body odor. Much of this ability is based on the capacity to identify odors of elderly individuals, and contrary to popular supposition, the so-called 'old-person smell' is rated as less intense and less unpleasant than body odors of middle-aged and young individuals. "Similar to other animals, humans can extract signals from body odors that allow us to identify biological age, avoid sick individuals, pick a suitable partner, and distinguish kin from non-kin," said senior author Johan Lundström, a sensory neuroscientist at Monell. Like non-human animals, human body odors contain a rich array of chemical components that can transmit various types of social information. The perceptual characteristics of these odors are reported to change across the lifespan, as are concentrations of the underlying chemicals. Scientists theorize that age-related odors may help animals select suitable mates: older males might be desirable because they contribute genes that enable offspring to live longer, while older females might be avoided because their reproductive systems are more fragile. 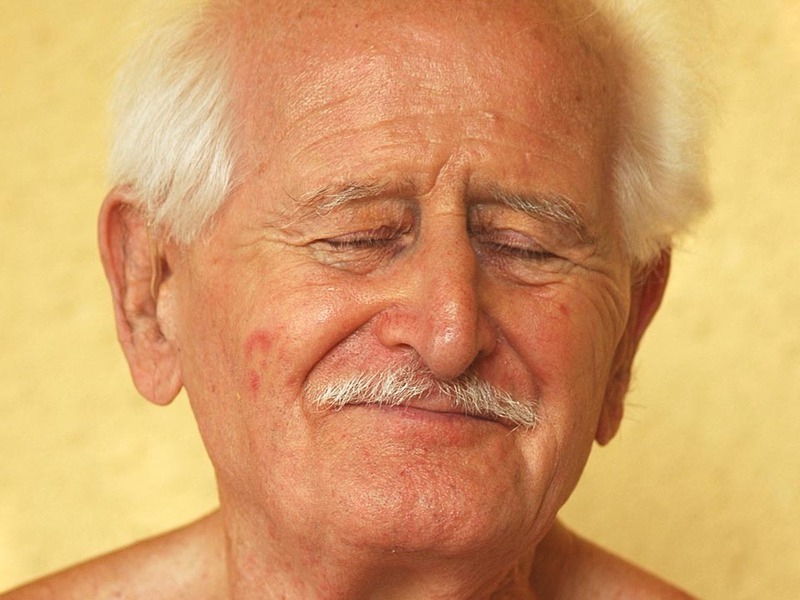 In humans, a unique 'old person smell' is recognized across cultures. This phenomenon is so acknowledged in Japan that there is a special word to describe this odor, kareishū. Because studies with non-human animals at Monell and other institutions have demonstrated the ability to identify age via body odor, Lundström's team examined whether humans are able to do the same. In the study, published in the journal PLoS ONE, body odors were collected from three age groups, with 12-16 individuals in each group: Young (20-30 years old), Middle-age (45-55), and Old-age (75-95). Each donor slept for five nights in unscented t-shirts containing underarm pads, which were then cut into quadrants and placed in glass jars. Odors were assessed by 41 young (20-30 years old) evaluators, who were given two body odor glass jars in nine combinations and asked to identify which came from the older donors. Evaluators also rated the intensity and pleasantness of each odor. Finally evaluators were asked to estimate the donor's age for each odor sample. Evaluators were able to discriminate the three donor age categories based on odor cues. Statistical analyses revealed that odors from the old-age group were driving the ability to differentiate age. Interestingly, evaluators rated body odors from the old-age group as less intense and less unpleasant than odors from the other two age groups. "Elderly people have a discernible underarm odor that younger people consider to be fairly neutral and not very unpleasant," said Lundström. "This was surprising given the popular conception of old age odor as disagreeable. However, it is possible that other sources of body odors, such as skin or breath, may have different qualities." Future studies will both attempt to identify the underlying biomarkers that evaluators use to identify age-related odors and also determine how the brain is able to identify and evaluate this information. The full study can be found at PLoS One. Information was provided by the Monell Chemical Senses Center.